We just learned about the Hypodermis. 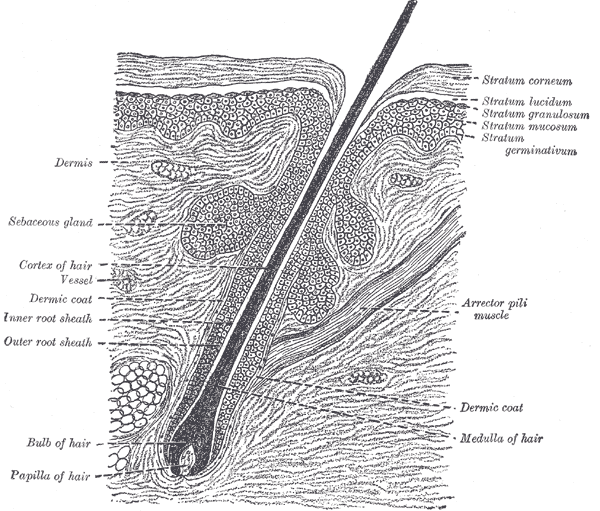 Another part of the integumentary system is the Adnexa, also called the Skin appendages. These are the things that come out from your skin, but aren't skin themselves. Like hair, nails, or where your sweat comes from called sweat glands.